I have heard about the term reality distortion field before, but it never occurred to me that it started with Steve Jobs. Apparently, it was coined in 1981 by an Apple employee named Budd Tribble to describe the way that Steve seems to warp reality around himself. There was something about Steve that convinced you that whatever he said was the reality. Perhaps it was because he believed it. 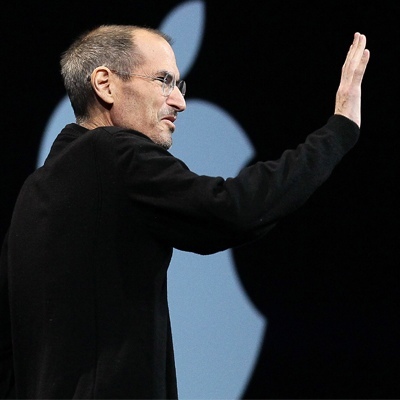 When he stood up and presented the iPod to the world, people realized they needed it. When he demonstrated the iPhone or iTunes or the iPad, you suddenly felt your reality altered. There’s no other way to describe the effect. Walter Isaacson reports that during writing his biography of Jobs, he needed to hear the same story 4-7 times before he could try to decipher what really happened. There was just something about Steve that conformed reality to whatever he needed it to be at that moment. Apparently, Jobs picked this is up from a friend at Reed College, but I think it was also tied to his absolute confidence in the vision he had. Jobs was singleminded and intense. When he seized upon a new idea, he was driven to refine and tool it to perfection. So, he believed in the thing he saw and that belief translated into absolute confidence when it came to presenting the product to people. It didn’t matter if that product was the Apple II or iOS 5. Jobs believed so much that you wanted to believe with him. Some critics say this was manipulation but I don’t think it was. I believe that Jobs believed what he was saying. He had a confidence in his product. His salesmanship was born in his sincerity. People can see BS (bad sermonizing) a mile away, and they can detect a preacher or teacher who does not truly believe what he is trying to “sell”. Many reject the preacher before they reject the sermon. My encouragement from this reading is simple. believe it or don’t preach it. if you cannot absolutely own the message you are presenting, don’t fake it, Sally.